​+ Read the assignment requirements carefully. + If you are unsure what topic would be relevant, talk to your professor. + Choose a topic you find interesting. + Consider how others have written about your topic. + Resources they have used will likely be helpful. Consider your topic's scope. How broad or narrow is it? Background research can help you learn more about your topic, and may also help you refine your focus. By knowing more about your topic's background, you can develop a more effective topic and a stronger research paper. 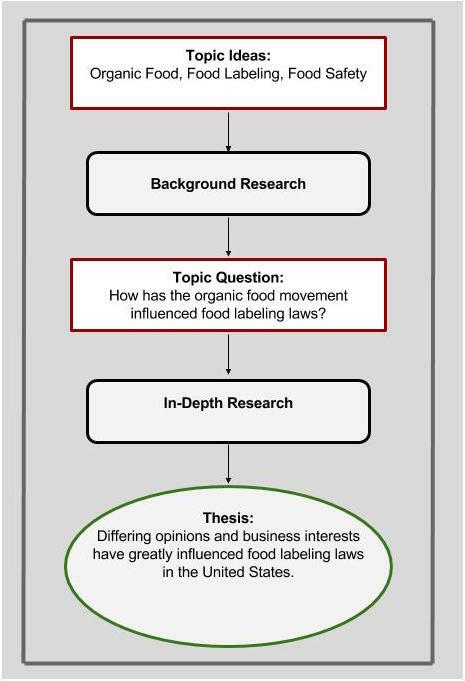 Develop a research question. Once you have a broad research topic and have done some background research, develop a research question. What about this topic interests you and is likely to also engage your readers? What's your general approach to the topic? Your research could, for example, use a historical angle (focusing on a particular time period); a geographical angle (focusing on a particular part of the world); or a sociological angle (focusing on a particular group of people). The angle you choose will depend largely on the nature of your research question and often on the class or the academic discipline in which you are working.